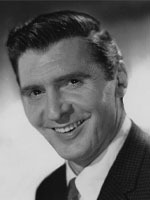 Ken Harvey appeared in TV anthology programs in the 1950s. His movie career is largely uncredited. Love this guy. He's got an interesting character voice. Usually plays a smart country character. Kenneth Harvey was born on December 25, 1918 in Montreal, Quebec, Canada. He was an actor and writer, known for All My Children (1970), Coronet Blue (1967) and Search for Tomorrow (1951). He appeard in the follow TV Series Armchair Detective ,Search for Tomorrow , Fireside Theatre, Guiding Light , The Goldbergs , The Investigator, Coronet Blue, The Doctors  He appeared in the following movies Bright Victory ,Mothra vs. Godzilla , Godzilla vs. Hedorah . A large body of his movie career is largely uncredited.